First we need to make presentation folder for brochure. I was thinking that maybe the front page of folder would look like border of a tablet and the screen would show my logo and some of apps icons. I want to emphasise that company is a mobile development company. Let’s design folder first then we can moving forward to brochure design. Created high quality folder in vector format (Ai, eps, pdf) for a company with turn round – ~3 days. 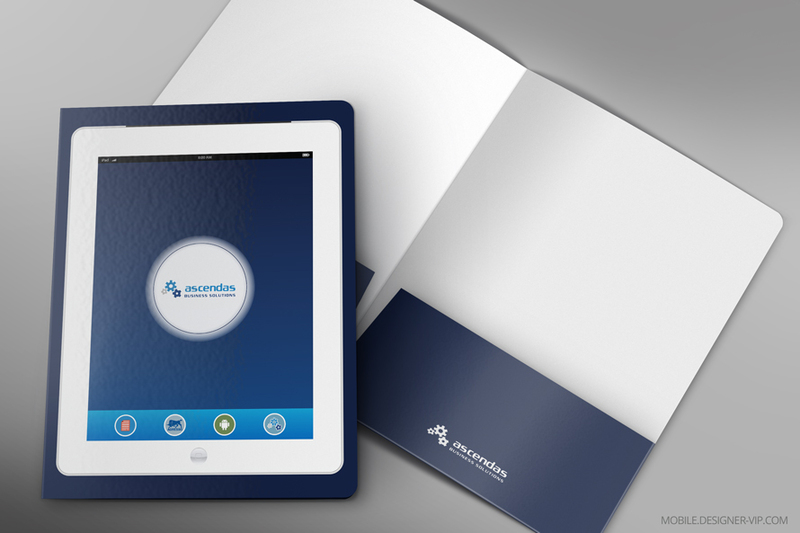 If you need a folder designed for your company our studio can help. • Allows the ability for the user to re-print all files and debt letters for court purposes. Uses tags from debt management system to personalise letters, NAME e.g. balance, last payment, customer name etc.